WCVB called the mistake "unacceptable." Being able to diagnose CTE in living people could be a game changer. The neurodegenerative disease has been linked to depression, memory loss and dementia. Some in the media share little evidence and use unhealthy reporting. The American justice system works in weird ways, and Massachusetts state law is no exception. Aaron Hernandez has died in an apparent suicide. The former New England Patriots tight end was serving a life sentence without parole for murder. Aaron Hernandez has died in an apparent suicide. The former New England Patriots player was serving a life sentence without parole for murder. The former NFL star is already serving a life sentence for an unrelated murder. How did jurors reach this conclusion? They heard hours of testimony from dozens of people. But one witnesses' testimony stood out. And, surprisingly, it wasn't from a witness who was even with Aaron Hernandez the night of the murder. 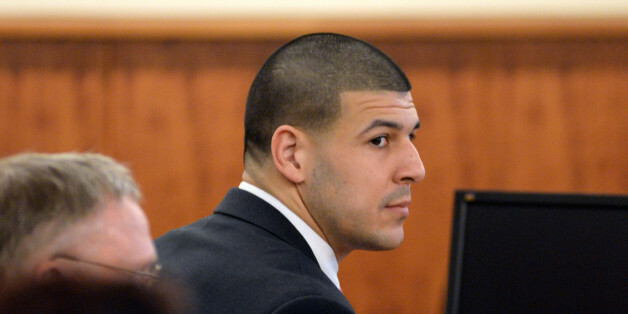 If not for its concessions in closing arguments, it's very probable that Hernandez would have walked free. In that sense, there are probably many people who may want to thank the defense. Would Aaron Hernandez have been found guilty regardless of his attorney's ignorant mistake? Possibly. But, his attorney sealed the deal and made it easy as pie. Now he will likely spend the rest of his life in jail. DNA evidence scientifically links former New England Patriots tight end Aaron Hernandez to the 2013 murder of Odin Lloyd, according to crime lab tests.